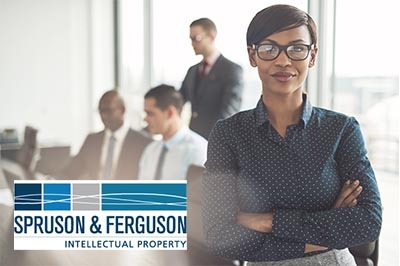 Using WiseTime, attorneys doubled the hours documented, captured and accounted for in half the time it would take to do so manually. How WiseTime ensures you get the credit you deserve with audit-proof documentation. WiseTime was designed and developed with the principle of individual privacy, and security, at the forefront. Learn more about the measures we take and what it means for you. 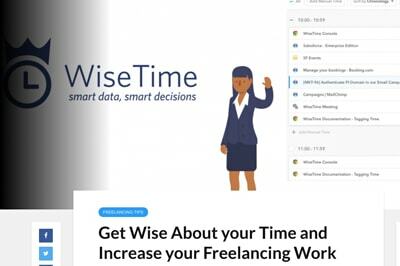 The WiseTime difference - any business looking for time-tracking software will find hundreds of different solutions to choose from, with a mind boggling array of options and capabilities. 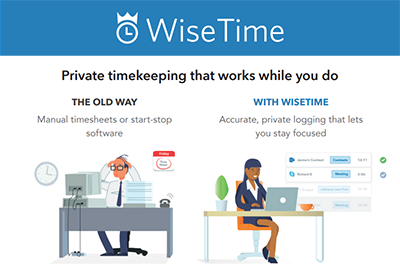 However, WiseTime is unlike any other solution on the market. The world´s first seamless and automatic time tracking software that you will enjoy using! 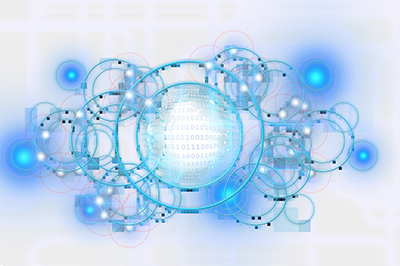 Timesheet automation with accurate time management insight. 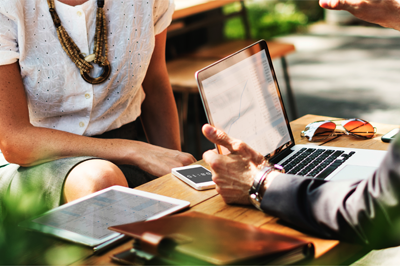 As a creative freelancer it is critical that you know how you’re spending your time even if time tracking may not be at the top of your daily agenda. Why is it critical you may ask?